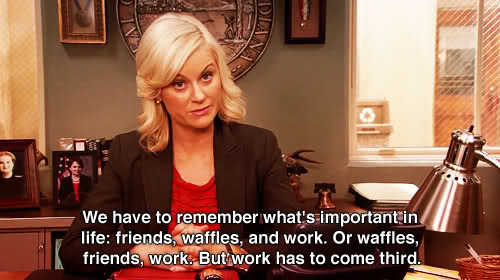 There are only 4 days left until November, which is NATIONAL NOVEL WRITING MONTH! Yay! You will enjoy such pride when you complete a month-long commitment to yourself! If you have any desire to write a novel, try NaNoWriMo! It’s a low-stakes challenge that can help you unleash your inner-novelist, bring you closer to other writers, and make you look super impressive to your friends and family. The Upper School Library will be celebrating the beginning of National Novel Writing Month with a Kick-Off Party on Monday, October 31, from 3:35 to 4:35. Hope to see you there! 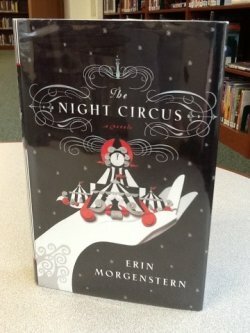 If you asked me to choose one word to describe Erin Morgenstern’s debut novel, The Night Circus, I would have to choose dreamy, which is fitting because the story is about Le Cirque des Rêves, The Circus of Dreams. Morgenstern has created a world of magic and mystery inside the Circus, and she has populated it with images that most people only see when they sleep. The dreamy quality of this novel is entirely due to Morgenstern’s talent for description. You can smell the hot caramel popcorn mixing with the smoke from the blazing bonfire in the middle of the circus; see the twinkling lights of the entrance tunnel and the stark black and white striped tents; hear the sharp intake of breath by every circus visitor as they enter the Menagerie Tent, populated with hundreds of softly rustling animated paper animals; feel the chill and the softly falling snow in the enchanted Winter Garden; taste the anticipation as the Illusionist appears suddenly on a stage in the middle of a ring of chairs. Morgenstern has the ability to bring her readers into the Circus and make them rêveurs, Dreamers, followers of Le Cirque des Rêves. The Circus is not merely the setting of the story, but also its main character. You watch it grow and flourish, and feel the pain of anticipated loss when you see that is it in danger. Morgenstern takes care to make sure that her readers are entirely taken in by the Circus itself. But what of the people who are responsible for the inception of the Circus, who perform within its striped canvas walls, who create its magic and wonder? The people in this story leave something to be desired. Where Morgenstern excels at bringing the Circus to life before our eyes, she fails to bring her characters to complete fruition. Perhaps the problem is that there are just so many of them. A quick tally of the major players brings the count to nine, which is a lot of people and a lot of individual stories to keep track of in less than 400 pages. In spite of the great number of characters to keep up with, this is not a quickly moving story. This is not a story of epic magical battles, nor is it a tale of burning love. If you are in the mood for a fast-paced story or a great deal of character development, look elsewhere. However, if you are the kind of reader who longs for an escape to a place completely out of the ordinary, with a little intrigue, romance, and suspense thrown in, this might be the book for you. 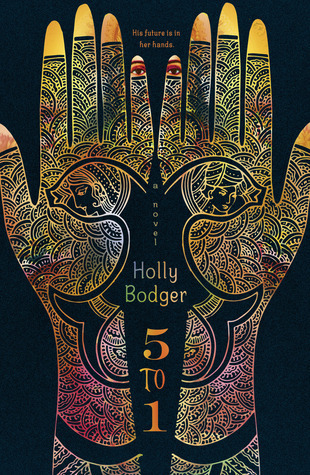 Fans of Sara Gruen’s Water for Elephants; The Chronicles of Narnia by C. S. Lewis; His Dark Materials trilogy by Philip Pullman; or someone suffering a little nostalgia for the magic of J. K. Rowling’s Harry Potter might enjoy this novel. If you’d like to hear Erin Morgenstern talk about drafting The Night Circus during National Novel Writing Month (NaNoWriMo), click here. Originally posted on Feb. 3, 2012 on http://www.indiancreekschool.org.